One of my all time favorite places to both visit and work at throughout the years has definitely been the Naper Settlement. An open air museum located in Naperville, IL (30 miles outside of downtown Chicago) it's a great place for everyone, both kids and adults. Started in the late 60's with the saving of St. John's Episcopal church. The church was moved to the already donated Martin-Mitchell land (which included the Mansion). Since that time more historical buildings from the area have been moved to the property and been reconstructed to make it an entire village. I was a volunteer in the Print Shop for a summer, telling people about the first printing presses and to mind their "p"s and "q"s. There is also a Blacksmith shop (which is run by volunteers and staff trained to metal smith), Pioneer Cabin, the Fort, and a ton of other really neat buildings. During the summer most, if not all, of the buildings are open to the public with costumed interpreters in each. Not a huge outdoors fan? Well there are the typical museum exhibitions found inside the Pre-Emption house. In the basement of the Pre-Emption house is the permanent exhibit "Brushstrokes of the Past". Which is an interactive exhibit that tells the story of Naperville through the paintings of Les Schrader. Taking you through the very first days of Naperville when it was settled by Joe Naper it brings you right up to the present day. 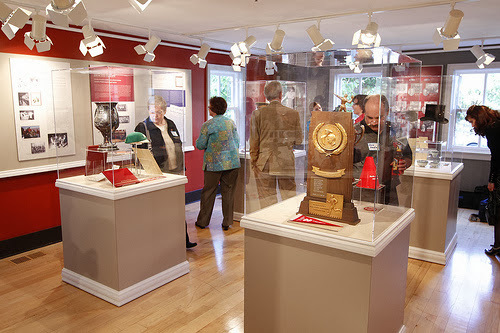 On the main floor there is a temporary exhibit space that currently hosts the very interactive exhibit "Food For Thought". 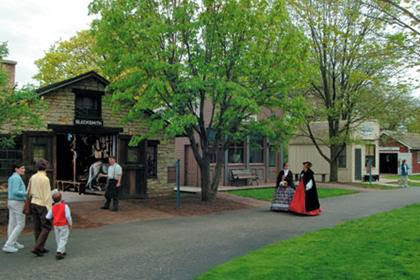 Naper Settlement also hosts a vast array of programs throughout the year. One of my all time favorites is Civil War Days coming up this May. It's a wonderful weekend of re-enacting. 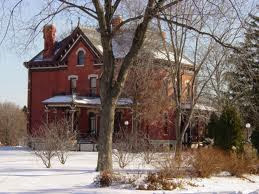 They also do lecture series and walking tours of downtown Naperville. The past couple of years the Settlement has been branching out and having more mainstream events on the property, such as an ale fest and bridal showcases being hosted on the property. 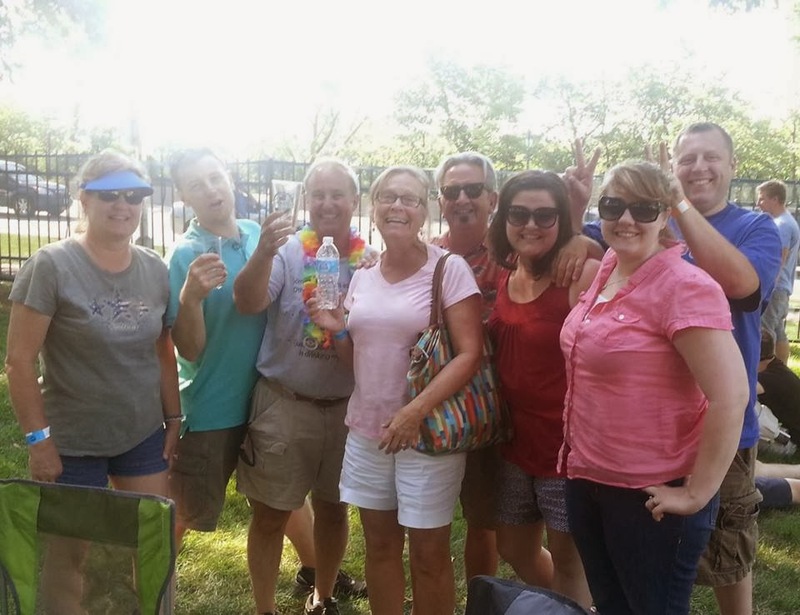 Being right in downtown Naperville it's very easy to get to the Settlement. The Metra BNSF line goes right through downtown and it's a short walk from there. I wouldn't recommend walking in the winter time but in the summer you can take in the beautiful sights of the downtown Riverwalk area and make a fabulous day out of it. You can easily drive there from all directions too. It's $12 for adults and $8 for children (if you're a Naperville resident with ID you get in free!) so it's a great price for a fun day. If you head there in the winter the prices are much cheaper but the buildings aren't open (only for special events), even still the grounds are beautiful in the winter time. I had no idea that this was here and I have been to the Chicago area so many times! My sister moved to Naperville a few years ago, and I've heard of the Naper settlement but haven't been yet. After reading what you wrote, I'm so excited to check it out!